But where exactly is Luxembourg situated? And even before that what exactly is Luxembourg? A city? A state? This small European country, just south of Belgium, is at the confluence of German and French cultures. Often called the green heart of Europe, the Grand Duchy has numerous historic monuments, a dynamic industry and large tracts of unexplored forests as well as waterfalls. Luxembourg and its short distances will know how to seduce all tourists looking for a haven of peace, nature and of course good restaurants. What strikes you when you reach Luxembourg, it is the peace around. It’s not noisy or crowded; the people are nice and smiling. They like to enjoy culture, jog in the morning in the numerous green spaces of the city or stay at home, warm in front of a good fire. In short, it is tranquil and relaxing, a perfect escape for refreshing oneself in the midst of nature. In less than 30 minutes from the airport, we are already in the city centre. Getting there, we could not have imagined the spectacular view that the city centre held for us. Magnificent architectures, ancient, paved streets, fortresses and castles. Each part of the city recounts history and myths. Several countries and crowns have controlled Luxembourg in the course of its long history, but it has always been a distinct political entity, often autonomous, since the 10th century. Today, Luxembourg is a hereditary Grand Duchy with a parliamentary regime and is also home to one of the four seats of the European Union. The city is part of the UNESCO’s World Heritage list and is also a constantly evolving city. Right next to its historic monuments arise modern buildings. Known for its metallurgical industry and financial sector, Luxembourg is also a science and technology hub. It also has a young and dynamic university (The University of Luxembourg) as well as numerous research and development centres. Luxembourg is divided into five regions – the capital, also called Luxembourg and its surroundings, Ardennes and its natural parks, Müllerthal, baptised as Small Luxembourgeoise Swiss, due to its wild nature, Moselle and its vineyards and finally Terres Rouges, or Red Rocks, the mines located in southern Luxembourg. The city centre offers a picturesque view, perched on an abrupt summit of steep cliffs of the narrow valleys of Alzette and Petrusse rivers whose confluence is in Luxembourg city. The deep valleys formed by these rivers are marked by numerous bridges and viaducts including the Adolphe bridge, the Grande-Duchesse Charlotte bridge and also the Passerelle. Even if Luxembourg city may not be particularly large, its topography is complex as the city has been built on several levels, astride the two valleys. The old city is separated from the new in the south by a deep ravine of the Petrusse. Losing your way on the paved bylanes you would reach the palace of the Grand Duchy, the ancient Neumünster Abby or the Notre-Dame de Luxembourg cathedral. Walking through the town you would be surprised by the diversity of the people of Luxembourg. Portuguese, French, German, Italian or Chinese, nearly 150 nationalities coexist on this small piece of land. Bilingual and often trilingual, Luxembourgers speak their national language as well as French, German and often another European language. Luxembourgish, the national language, is akin to German. The German is the main foreign language for most Luxembourgers and is also used by the media, while French is the administrative language. Did the walk make you hungry? Don’t worry, the options are aplenty. You can visit one of the many Michelin-starred restaurants, or French brasseries, such as Brasserie Guillaume, to restaurants serving typical German dishes, the choice is wide and portions are generous! Jugged hare and Ardennes ham are among the local culinary specialties. Trout and pike, caught in local rivers, also appear regularly on the menu. All these accompanied by Cremant of Luxembourg or other locally produced wines. 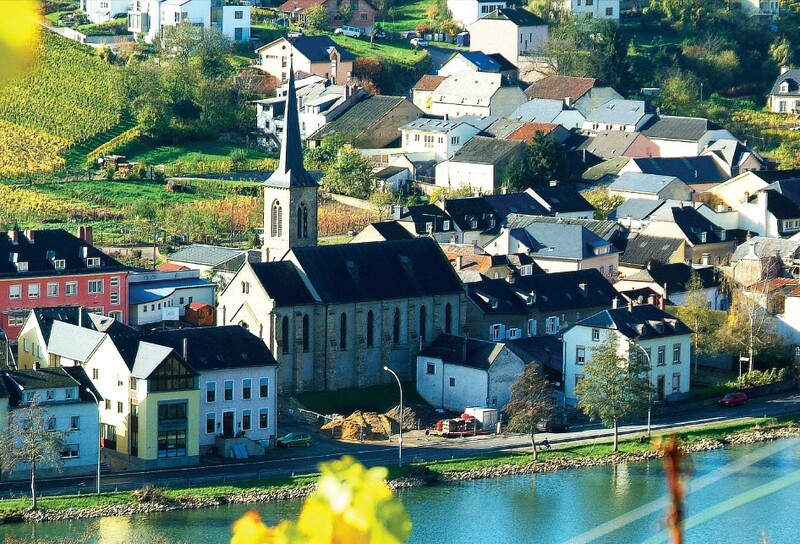 Luxembourg shares the Moselle valley with Germany and its locally-produced white wines are well-known and appreciated. Like other countries of northern Europe, Luxembourg also produces famous beers. For vegetarians, the choice is also varied: many Italian restaurants, a few Indian restaurants and unique ‘veggie’ places to try such as ‘Mesa Verde’. The city of Luxembourg also offers plenty of activities in the night: a concert at the Philarmonic concert hall, a movie or a night out in one of the numerous bars. The Place Guillaume II in the heart of the city is surrounded by numerous shop, vending global luxury brands just like any other big city in Europe. Did you know that Luxembourg is home to the very famous Schengen city, yes the same name which appears on visa! Surrounded by the vineyards, the city of Schengen is not very big nor very dynamic but here lies the foundation and the history of Europe. The small, sleepy city became historic on June 14, 1985 when the treaty to remove visa restrictions and border immigration controls across Europe was signed aboard the ship, Princess Marie-Astrid, anchored on the Moselle river, close to a place which is now known as ‘Espace Schengen’. The European museum at Schengen was opened on June 13, 2010, to celebrate the 25 years of the signing of the Schengen agreement. The permanent exhibition dedicated to the history and the significance of the Schengen agreement tries to show to the visitors that ending the frontier controls within Europe was the beginning of the implementation of one of the four fundamental liberties, which had been fixed by the Rome Treaty of 1957. Historical photos, films and audio documents as well as interviews of the key personalities who had participated in the events of 1985 and which explain the reasons behind this agreement are also displayed here. The main attraction of the museum is an interactive game, which gives us information on the history of the borders of different countries belonging to the Schengen area and also other members of the European Union, which have not yet signed this pact. This game also explains to the visitors how the borders have moved since 1815 all over Europe and through the borders the economic, military and political fortunes of the European powers. Luxembourg is also reputed for its grand castles or “châteaux”, which are amongst the most spectacular ones in Europe. 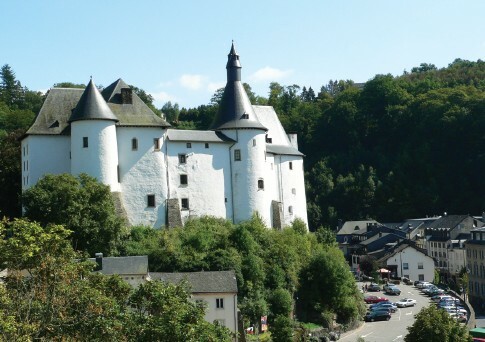 Clervaux is a good starting point for visiting the châteaux here. The immaculate Château de Clervaux looks over the city as a guardian. Vianden is another town with a charismatic château. And while you are there, take the sole ropeway of Luxembourg to enjoy an unmatched view of the town and its surroundings. Luxembourg is also an ideal terrain for treks or bicycle excursions in the wild. In northeast is a small, picturesque town of Echternach, surrounded by a natural park, with diverse external activities such as fishing, which is also the national sport of the country, swimming and kayaking in the Lac de la Sûre. There are also several trekking trails, which criss-cross the superb forests of Müllerthal. 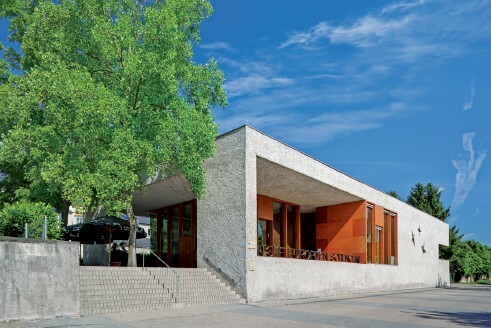 If you dont feel very sportive, you could also head for a quiet and relaxing moment at the spa in Mondorf-les-bains. An hour from the city, you can also visit the museum of Luxlait in Bissen, the main producer of milk in Luxembourg. Here, you will find many educative and interactive activities that will explain you the tradition of milk production in the region. A must if you travel with kids! Complete your discovery of Luxembourg on a sweet note. The ‘Maison du Chocolat’ or House of Chocolate proposes exceptional chocolate beverages, accompanied by a large portion of an amazing cake. One cannot leave Luxembourg without having tasted one of its fine patisseries!